Waste Management, Matamata-Piako District Council, and Hirepool were all named the lucky winners. The keys were handed over at a presentation at CAL Isuzu in Hamilton on Wednesday. The prize was open to Isuzu customers who purchased any new Isuzu truck over a three-month period to the end of August. Around 300 entries were received through Isuzu Truck dealerships around the country. However, CAL Isuzu proved lucky by naming all three winning customers. CAL Isuzu managing director Ashok Parbhu says it was a successful campaign and he’s “proud” to have rewarded his clients with all three utes. The CAL dealership dominates the Isuzu Trucks New Zealand market with over 50% of the brand’s sales. So it came as no big surprise to see all winners coming through the branch. “Numbers and volumes are important, you’ve got to have size and we’ve got that. 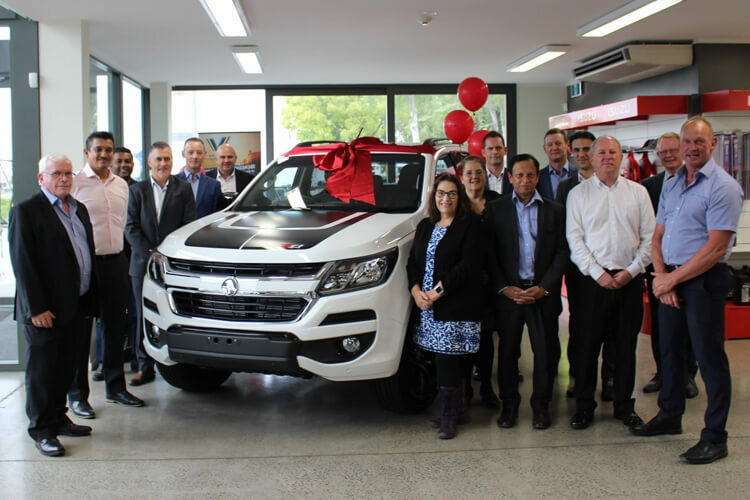 Isuzu NZ general manager Colin Muir says the quarter of a million dollar promotion was all about “giving back to the customers”. Muir congratulated all the winners and says CAL Isuzu is “doing a fantastic job for the brand, as are all our dealers”. Isuzu remains in a dominant position in the New Zealand truck market “but doesn’t take that for granted,” Muir says.